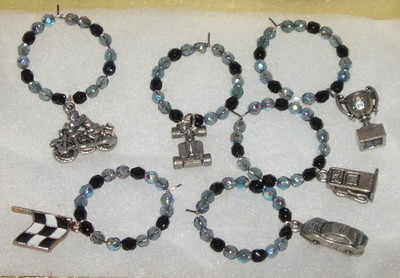 Set of 6 beaded wineglass markers with racing theme charms and black/silver glass beads. Super gift for any car racing fan. Set of 6 come in a gift box.